Below are a few of my favorite kettlebell workouts to do at home and all are less than 30 minutes! Kettebell workouts are great because you can get in a good HIIT (high intensity interval training) workout with just one piece of equipment. 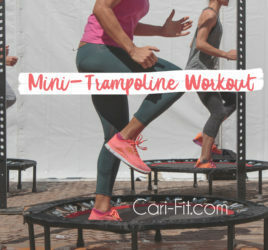 You can use it for cardio and strength training! Kettlebells are also great to use if you have a knee or ankle injury because there is very little stress placed on the lower body joints and no pounding or jumping movements. I also recommend kettlebell workouts during pregnancy (be sure to check with your doctor first and use a lighter weight than you would pre-pregnancy). 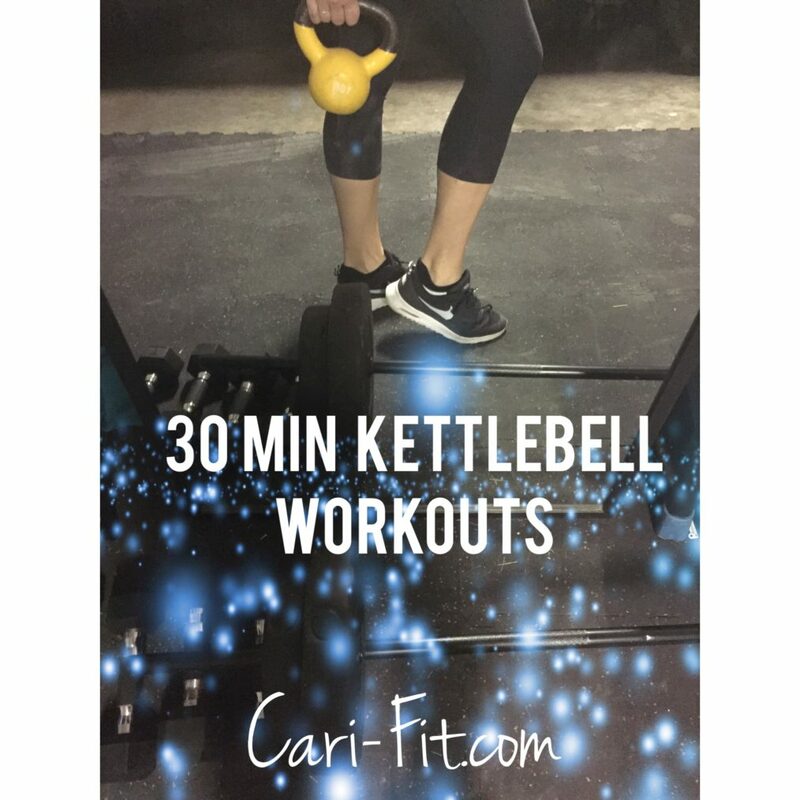 Below are a few of my favorite kettlebell workouts to do at home and all are less than 30 minutes! TIPS: If you are new to kettlebells I recommend checking out a few videos online or setup and appointment with a trainer to show you how to use them. Also, start with a lighter weight and progress with heavier. For women I recommend anywhere from 10lb to 25lb. I typically use my 15lb and my 20lb. The 15 is good for adding in some strength moves (like single-arm bicep curls) but then I like the 20 for the swings and things like bent-over rows. *Use the heaviest KB you can without sacrificing your form. Limit rest time to make more advanced. 30 Reverse lunges (alternate left/right) while holding KB in the air above head with both hands. Repeat whole set 2 times. 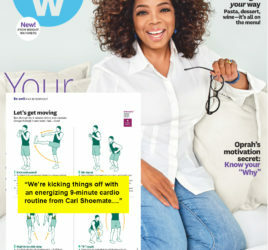 *Be sure you are cleared by your doctor first to do these exercises and incorporate as many rest intervals as you need. Warmup for 5 min first. Hold a wall-sit as long as you can with KB in your lap (aim for 30-90 seconds). Make sure your back is up against the wall and your legs make a 90 degree angle with knees on top of ankles. Hold a plank (either high plank with arms straight or on your forearms) for 30-60 seconds. Stretch after and/or do some light yoga and deep breathing exercises.